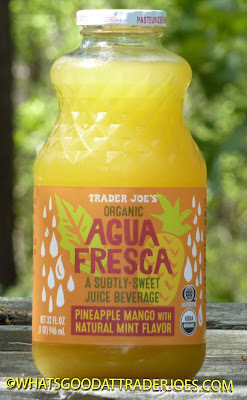 We've come across obscene amounts of mango products from TJ's over the years, including a beverage or two. We've been braving mango drinks and reviewing them here since 2010. 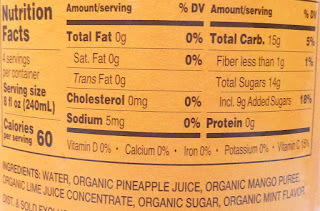 The flavor of this one isn't such a far cry from other authentic mango juices, although this one's much thinner than anything that might be called "nectar," or really even anything called "juice." It's cool, fresh, flavored water. 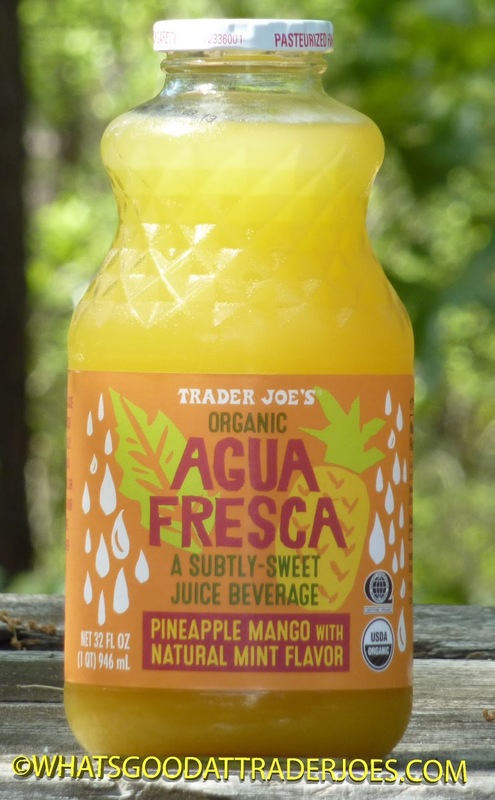 You really could replicate the flavor of this stuff by taking ordinary mango nectar, adding water, a dash of pineapple juice, and simply brushing your teeth before taking a swig. Same effect. Okay, not really. The mint here tastes slightly more pleasant than Colgate, although it seems a bit out of place somehow. It sounded good when I read it on the label, but in actual practice, I'm not a huge fan. Sonia grew up with aguas frescas in her native sunny Southern California. Some of her favorites included tamarind, cantaloupe, and watermelon. According to her, even drinks like horchata are technically a type of agua fresca...and I looove me some horchata. Russ and Sandy checked out the flower-flavored variety a week or two ago. I tried a similar hibiscus beverage when I lived in L.A. and I wasn't a fan of the taste—but hey, each to his own. 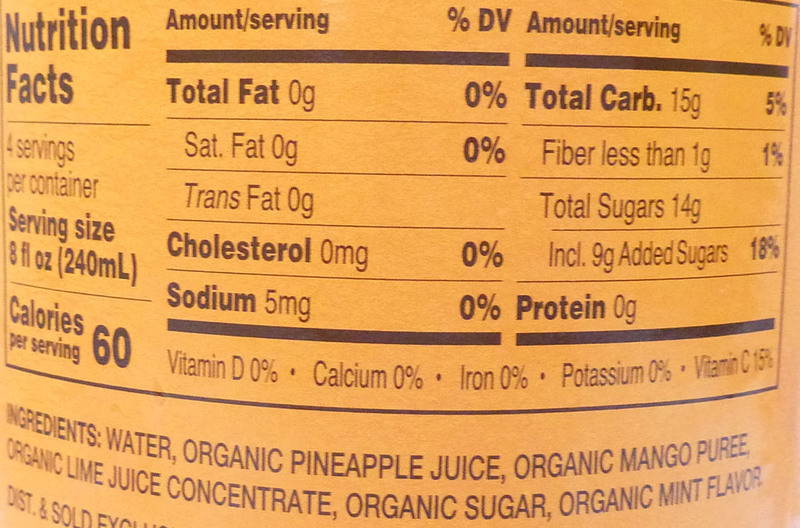 I thought I'd fare better with a fruity flavor, but the essence of this one didn't really grab me either. Sonia likes this drink a lot more than I do. She enjoys the "lightness" of it. I must admit, the lack of sweetness here is very refreshing. It's not a bad beverage, particularly if you consider the refreshment factor. I'm just not digging the overall flavor all that much. Sonia's interested in trying the other varieties sold at Trader Joe's, but she wishes they offered more traditional flavors like the ones sold in Mexican marketplaces. Three stars from me. Four stars from the wifey.